As any homeowner and building manager would admit, with bathrooms there's always something to do. Whether it's the re-grouting, a fresh coat of paint, or a fixture that need replacing, there's always a little extra touch to make it safer and more welcoming. And not so rare is the case when the whole place needs to be gutted so you can have a flowing design or open up an edgy space. 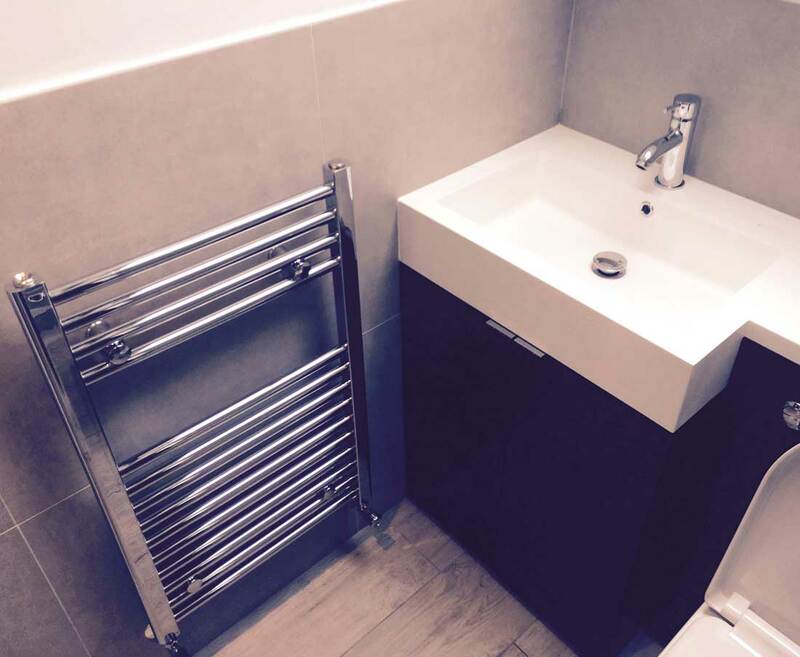 Whatever changes you need and want to make, bathroom fitters Westminster can make it happen working around your schedule and within your budget. For comprehensive insured services across the entire Westminster, get in touch with us today. 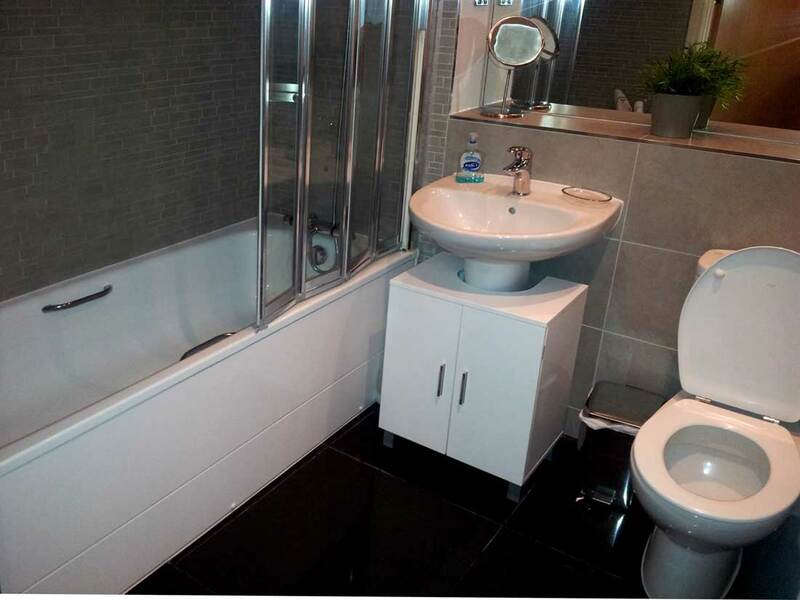 We cover all aspects of a bathroom refurbishment project for a perfect finish of a seamless process, as you can see in the pictures below. 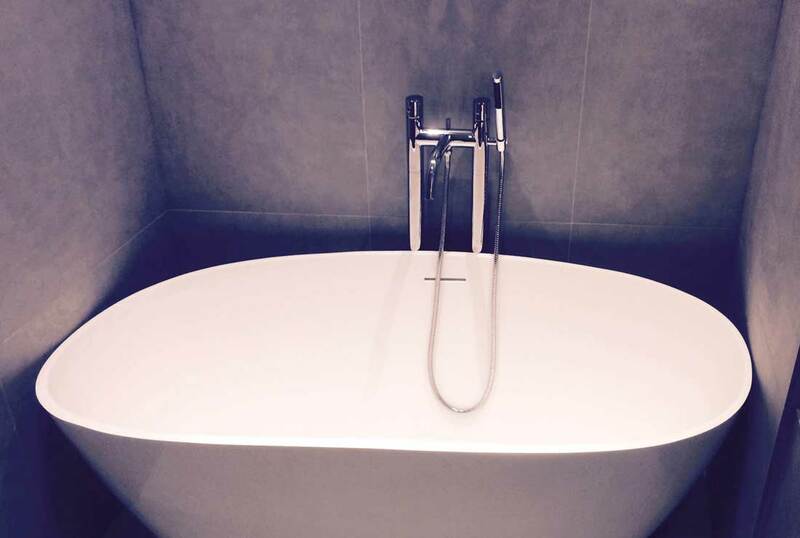 Whether your bathroom refurbishment in Westminster is a rescue mission or you are adding extra conveniences, we can help you bring your design ideas of the perfect bathroom to reality. 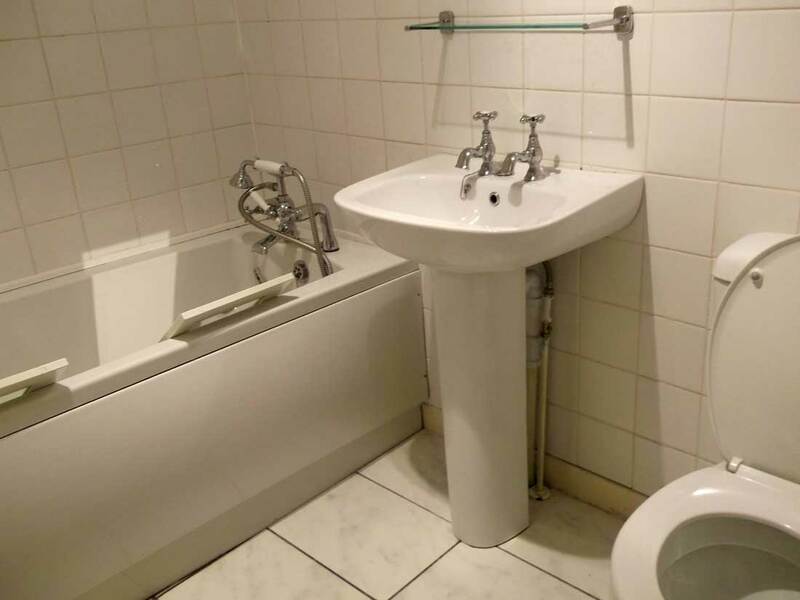 Keep your bathroom fitting cost in check and save yourself the elbow grease and avoid risk of damaging plumbing and wiring, as we will take care of it all for you. 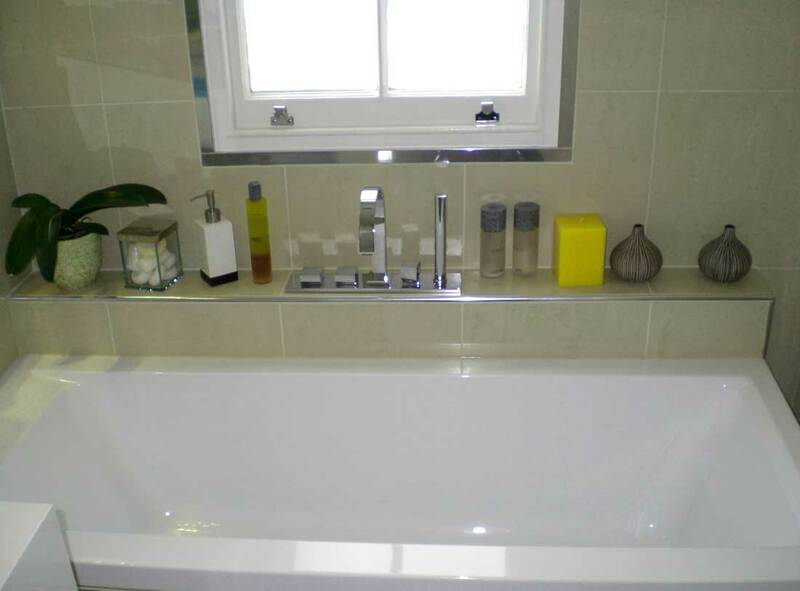 Install basins, toilet units, bathtub, shower tray, light fixtures, floorings. For all of the above or for a more specific requirement, get in touch with us today and discuss your ideas. 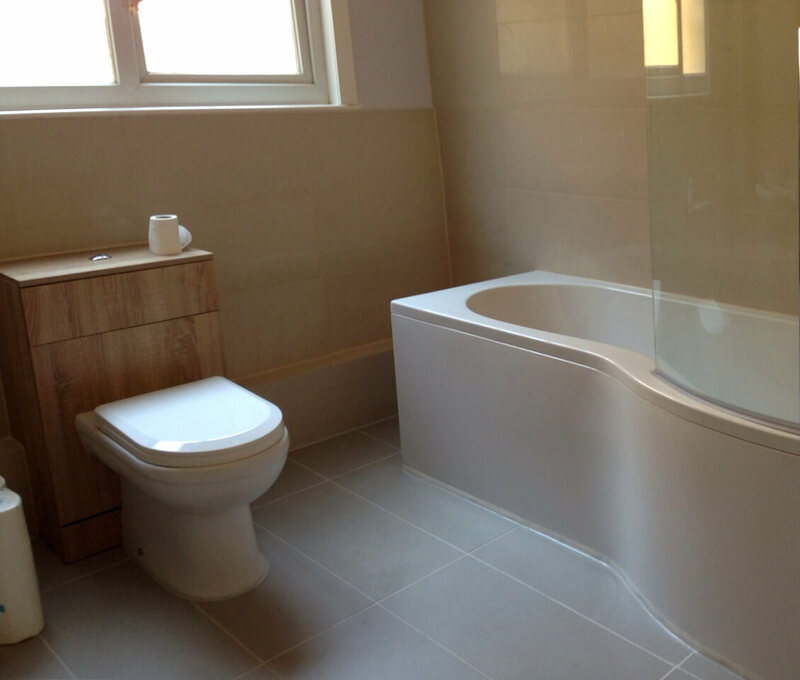 Our clients' satisfaction is our top priority so we go the extra mile to carry out each project to a brilliant finish. Below, you can see some of the feedback on our services which previous clients have been kind to provide. I still can not believe how amazing my bathroom looks! Thanks for your devotion- I already recommended you to some friends and relatives. 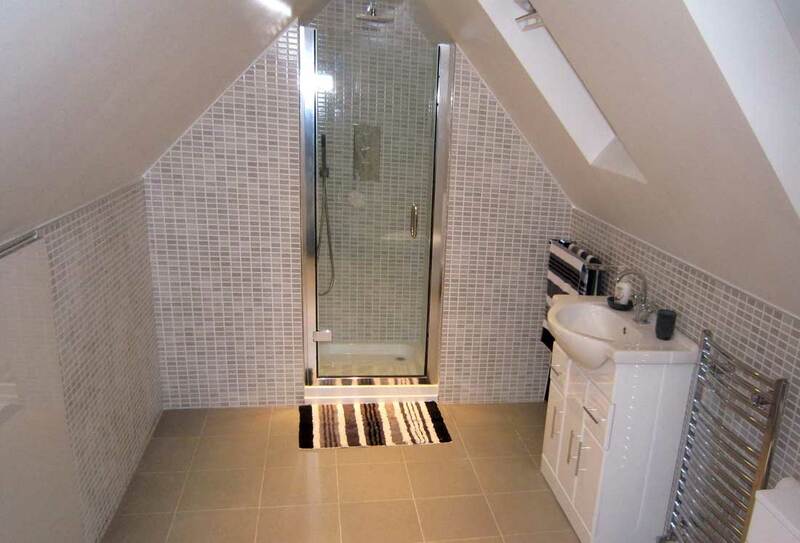 If you've liked a particular style for your refurbishment project – whether installing a new bathroom, conversion, or a remodel – but are uncertain in terms of the most suitable materials, the bathroom specialists can help you not only with advise, manual labour, and professional equipment but with sourcing the materials, as well. We have a partnership with a leading brand on the UK market and can offer you all kinds of tiles, lighting fixtures, plumbing fittings, bathroom furniture and accessories at special discount rates – up to 20% off! If you have already selected the materials, we will bring along the professional equipment and tools to carry out the repairs and installations. 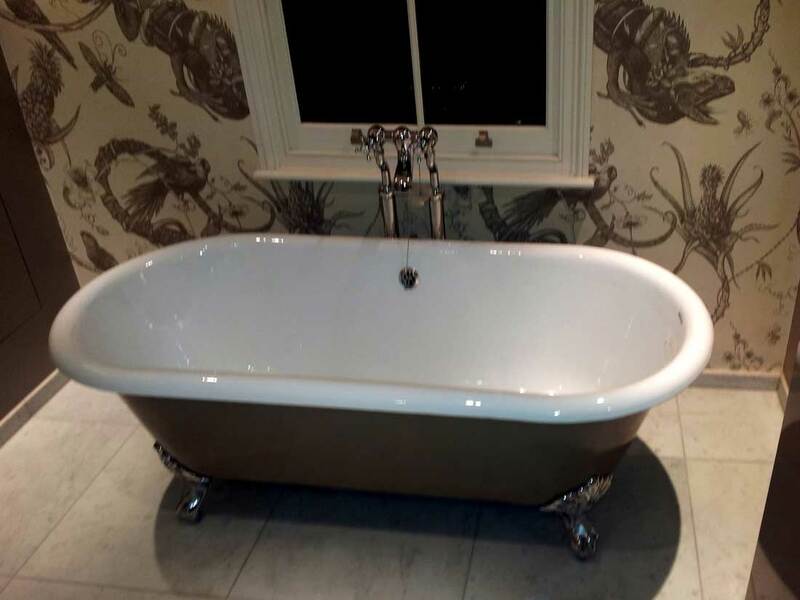 With the same standard of quality, our services can be tailored to bring any bathroom renovation and installation project to a stunning result. 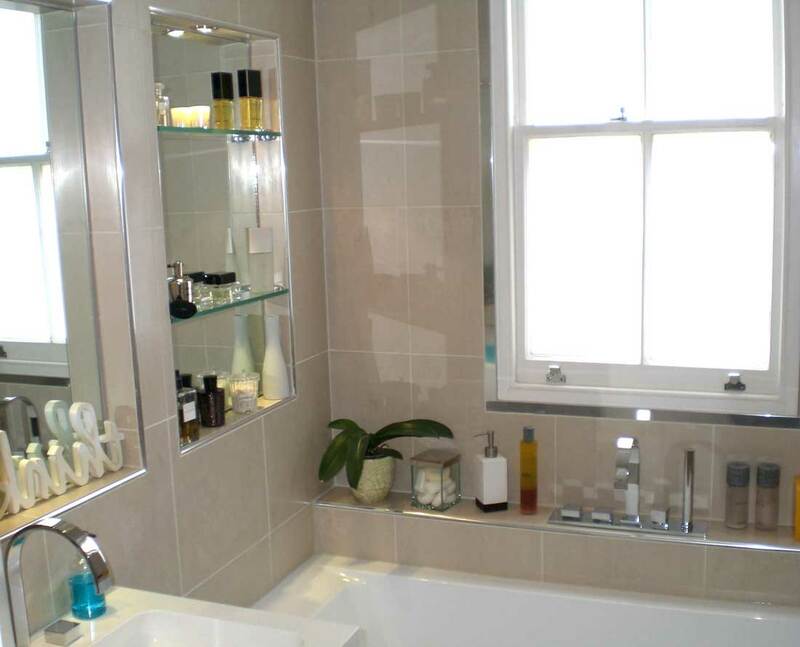 If you need to make repairs or add a touch of luxury to your property, whether you've just bought it or have been living in it for years, the bathroom is always a perfect starting point. 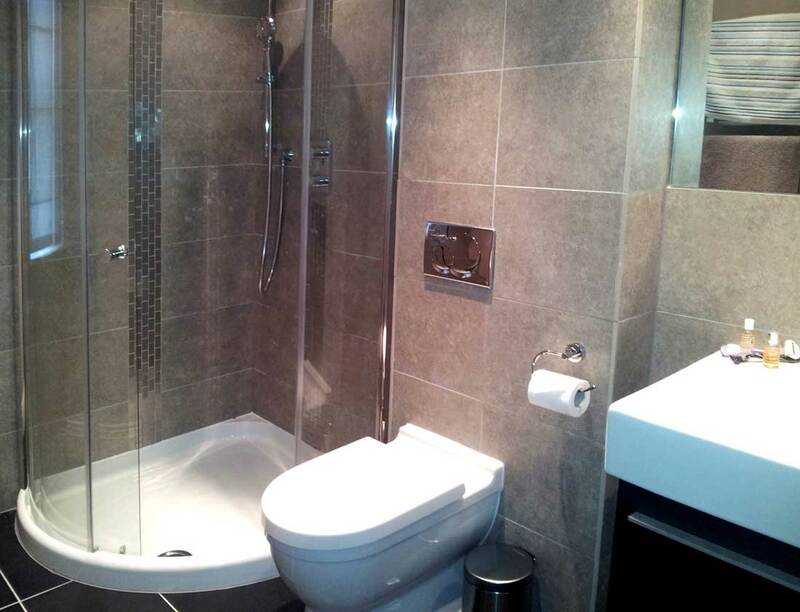 And when you're selling a home, a modernised bathroom can make all the difference to your buyers. 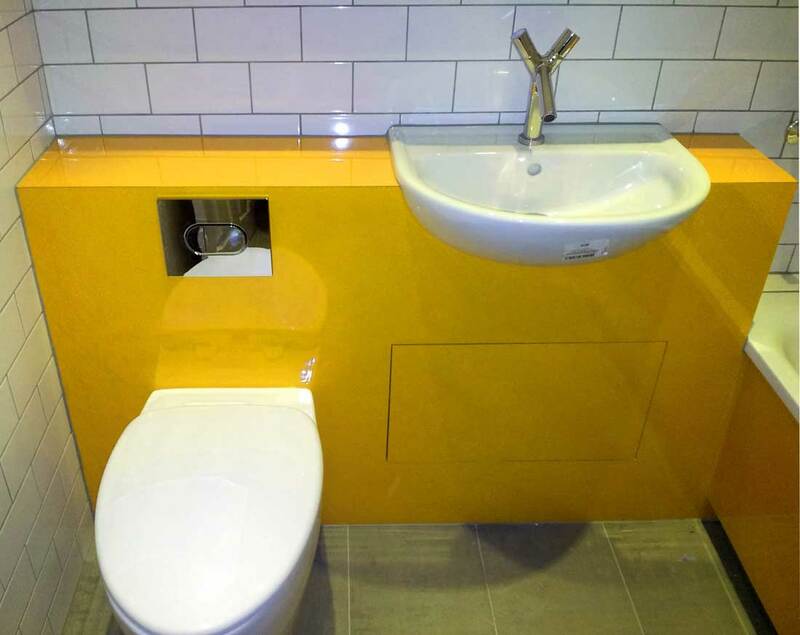 Property managers can also use our professionalism and expertise to make any kind of toilet, wet-room, locker room, or bathroom accessible and convenient to staff and visitors. 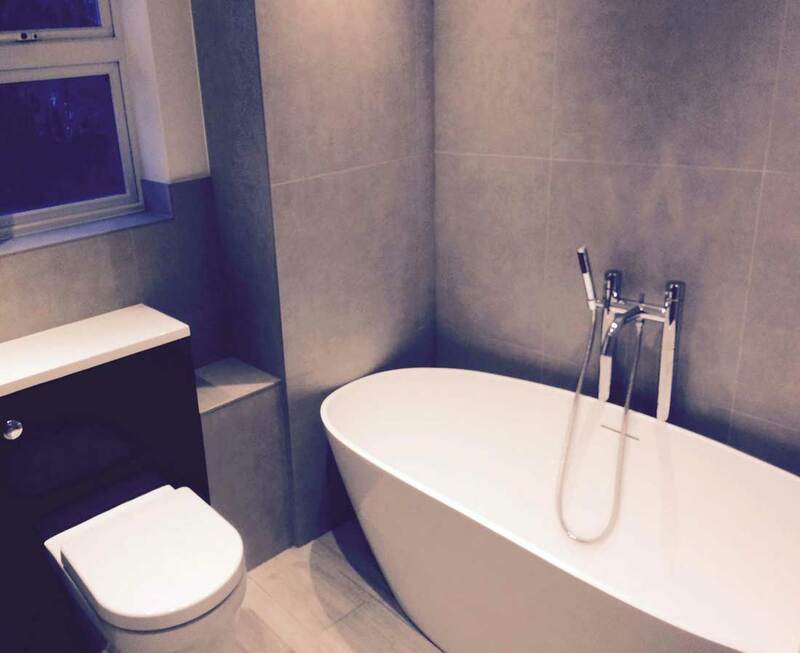 Book your tailored bathroom installation or renovation in just moments – over the phone at 020 3746 5384 or online via the live chat and callback form we support on our website.